The first steps are most the most difficult. You will have to adjust to a new reality when you find out that your beloved parent is affected by Alzheimer’s. Emotions such as anger, grief, and shock are normal in this new life event. Obtaining assistance from qualified personnel is highly advised, even from early stages, because they can lead you in the right direction and guide you along the process. Your parent needs your support right now, but you need support too, especially if you plan to take care of your parent at your home. Taking care of a parent with Alzheimer’s is not an easy endeavor. You will have to be prepared, and the sooner you start making these preparations, the better. Even if it may feel uncomfortable to talk about certain issues, you need to get as many details as possible before your parent is being affected more and more by the disease and no longer can express their wishes in a lucid manner. One of the first things you need to do, in case your parent is still lucid, is to get their wishes on paper, regarding healthcare and financial decisions. Talking to an attorney about your options is recommended, because they can guide you through these difficult times and setup an estate plan and will. In case the patient is no longer capable of taking their own decisions, you will also have to apply to become a guardian, so you can cover all the legal issues. Taking care of a patient with Alzheimer’s is the type of job that can eat up not only your free time but the time that you do not have. Do not rush to take decisions and obtain support for taking care of your parent as fast as possible. The faster you manage to create a routine for the patient and for you, the easier it will be. Do not assume that you will be able to take care of everything on your own. Soon enough, you may discover that you feel overwhelmed and you will need to call for help. Getting professional help is the most advisable thing to do. Because often these patients require round the clock care, you need someone you can rely on for the times when you cannot be present. Also, you need to consider yourself and the rest of your family, too, even if you are the one in charge and you take on the duty of looking after your suffering parent. It is very important to create daily routines for the patient. It is well known that patients with Alzheimer’s suffer from the most severe bouts when something changes around them. As long as you respect the same routines and you get your parent used to them, with patience and consideration, you will limit the severity and the frequency of these bouts. 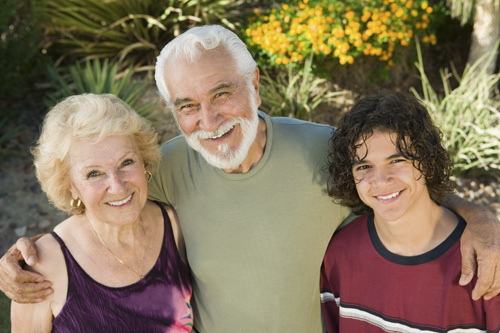 Do not forget to appeal to professional help if you plan to take care of your parent at home..